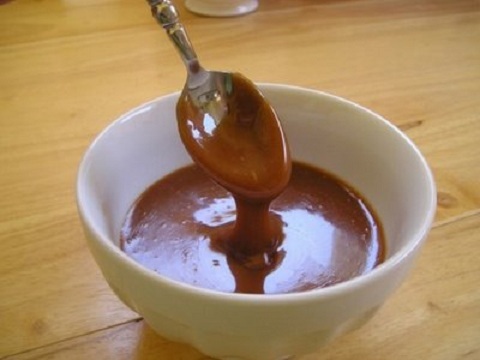 This is a simple & easy way to make Portuguese caramelo, a caramel sauce used in many Portuguese desserts and pastrys. The ingredients and directions are really simple, so try it out and drizzle some on your next cake or pastry, we are sure you will love it! 1) Put the sugar and water in a saucepan and allow the sugar to dissolve over a gentle heat, stirring from time to time with a metal spoon. 2) When completely melted, boil rapidly without stirring until a pale golden colour. 3) Decrease the heat and continue boiling to obtain a good caramel (a rich brown). 4) Remove at once from the heat and hold the bottom of the pan in water to check boiling. 5) Add the 3/4 cup of water gradually. 6) Return to the heat and allow the water and syrup to blend.